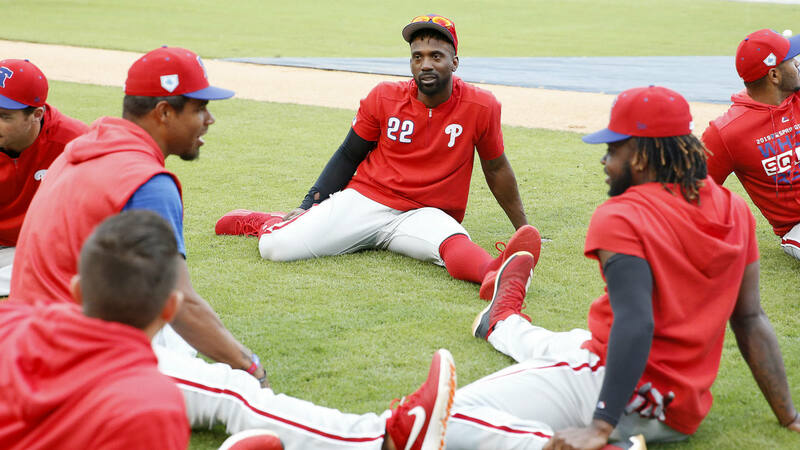 CLEARWATER, Fla. — Phillies manager Gabe Kapler had an audience for his postgame media session on Friday afternoon, a 7-2 victory over the Pirates on the first full day of the Bryce Harper Era in Philadelphia. What, you expected satisfied Philly fans? It’s safe to say that Kapler and his players were more satiated by the news of Harper’s signings than those four Philly bros. The mood in the clubhouse Friday morning was upbeat, though that’s not exactly unusual. The 2019 Phillies Ping Pong Tournament was underway, after all, and it’s no little deal. The field is 28 players deep, and during the morning media availability, Scott Kingery and Nick Pivetta played a practice game, with the big hand-drawn bracket on the wall next to the table. Kingery said he got the best of his pitching teammate. So who’s the best on the team? With or without Harper, this is a club that expected to contend for the NL East title, for the National league crown and the World Series. Remember, they already signed Andrew McCutchen and traded for All-Stars J.T. Realmuto — who tripled and homered in his first two at-bats Friday, by the way — and Jean Segura. Few teams this offseason have made three more impactful additions. But, yeah, the addition of Harper takes things up a notch. Expectations escalated quickly. Details have to be worked out. What number will Harper wear — his No. 34 with the Nationals belonged to new Hall of Famer Roy Halladay in Philadelphia (UPDATE: Harper will wear 3) — where will he bat in the lineup, and how will he mesh with his new teammates? Nobody here in Clearwater is too concerned about that, though. McCutchen was in the clubhouse when he heard the news. His wife actually told him, and he relayed the news to his boy. Funny, that’s what the Phillies plan to do all season with Harper in the lineup, too.